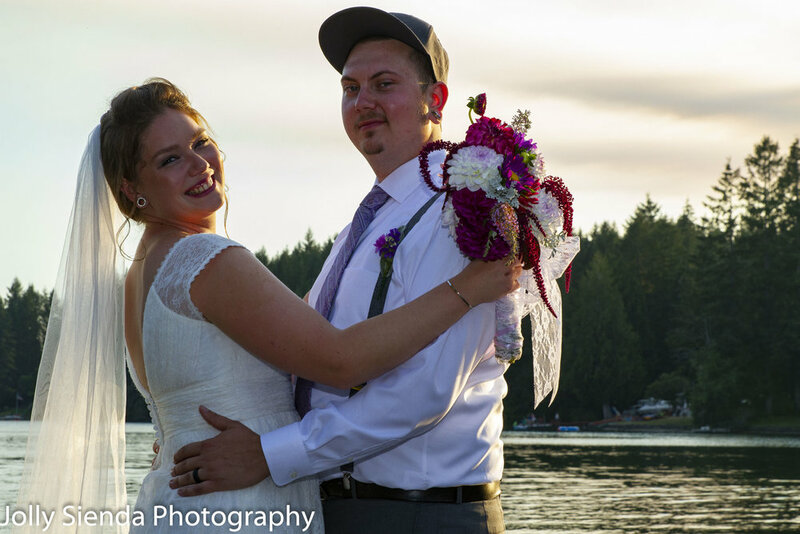 On Saturday, August 11, 2018, at 5:11 pm, Kyle McInnis and Calvin Sweat married each other at Heronswood Garden in Kingston, Washington. 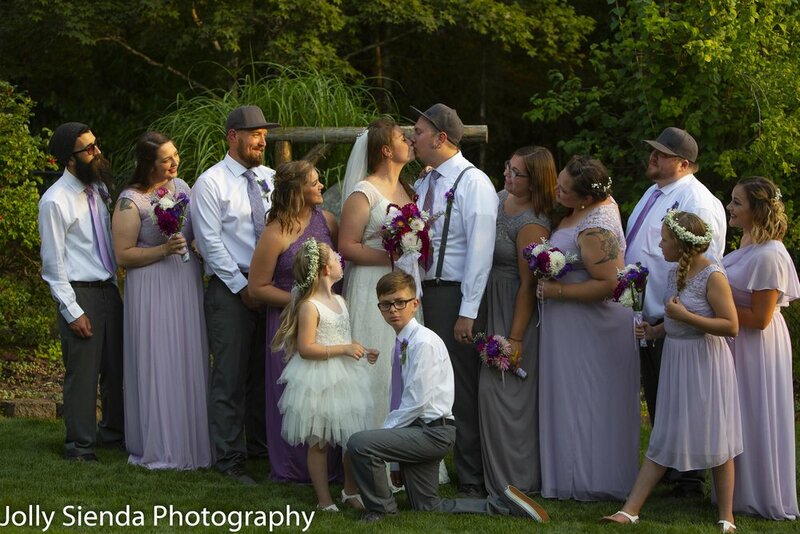 They drove three days, from their home, in Sioux City, Iowa for their wedding and were joined by family and friends from Iowa, Washington, and Hawaii. 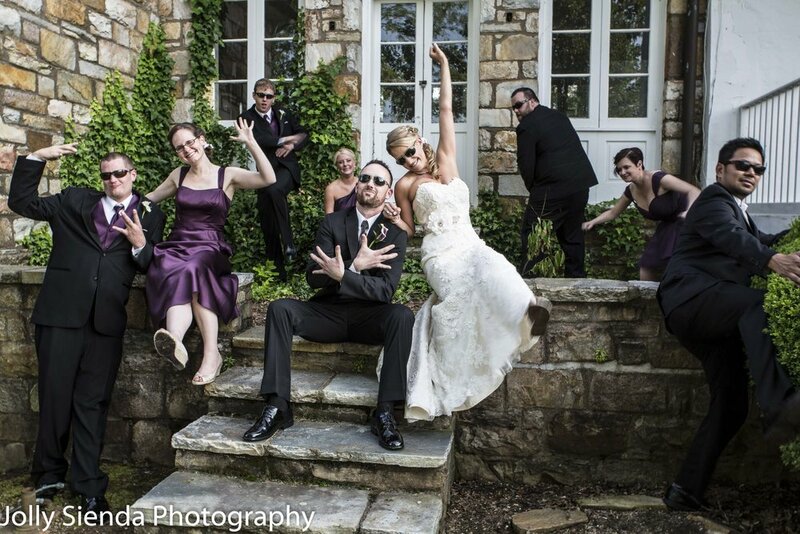 The bride and groom planned their dream wedding together and it took some time to put everything together. 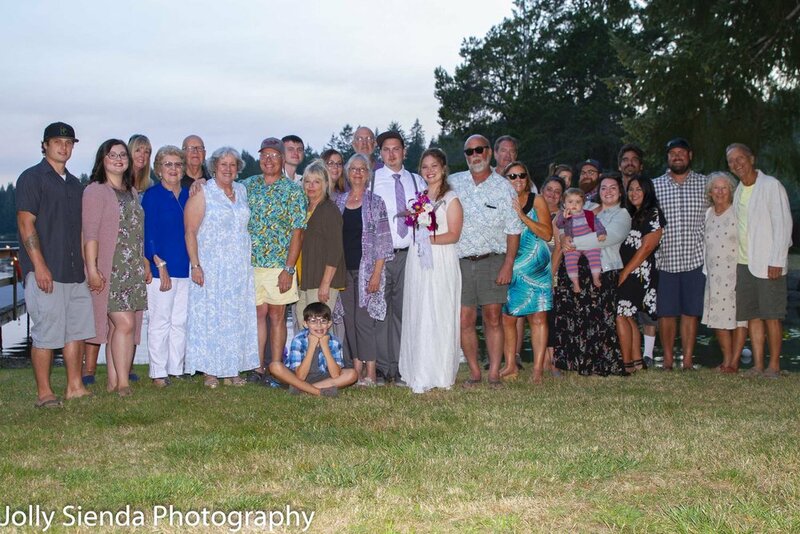 Kyle, and her grand daughter Izzy Tello, the Maid of Honor, traveled to the Kitsap Peninsula, WA., in 2017 to meet with wedding professionals and see the venue. 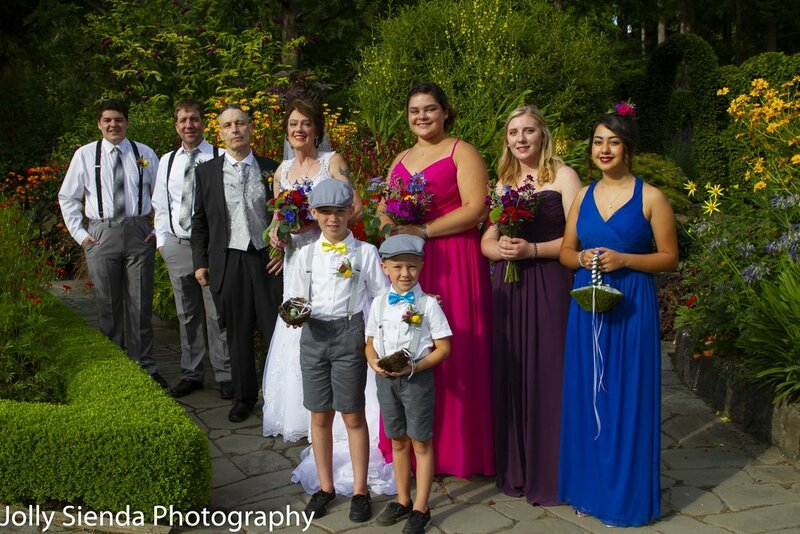 Kyle wore a stunning crystal beaded dress with a train and carried a fresh wedding bouquet of vibrant Northwest flowers. Calvin dressed in a handsome wedding suit with a shimmery satin silver-grey vest and tie. He was joined by his best friend, Mitch, who served as his Best Man. The wedding ceremony happened at about 5:11 pm in the afternoon -- a special time for the couple to coincide with the time they got engaged. It was a picture perfect day for them with temperatures in the low 70's. The ceremony was officiated by Amber Bartz, Celebrations by Amber. 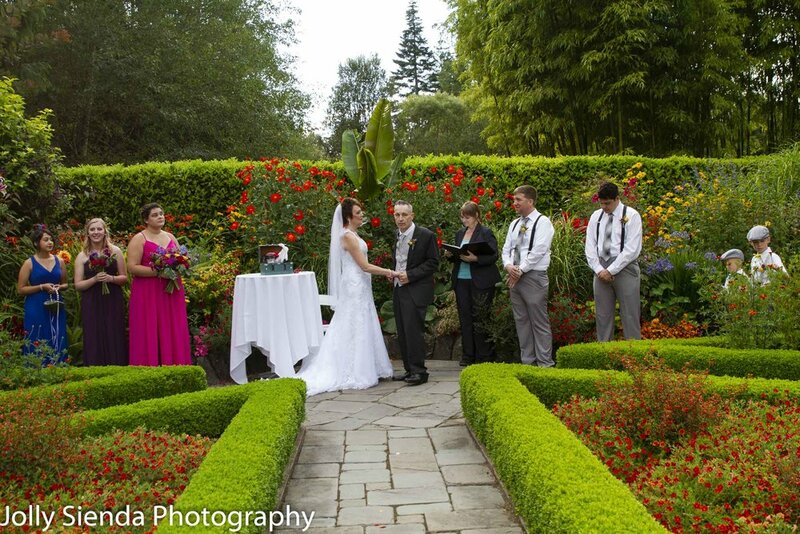 The floral British style garden sanctuary where Calvin wed Kyle McInnis. 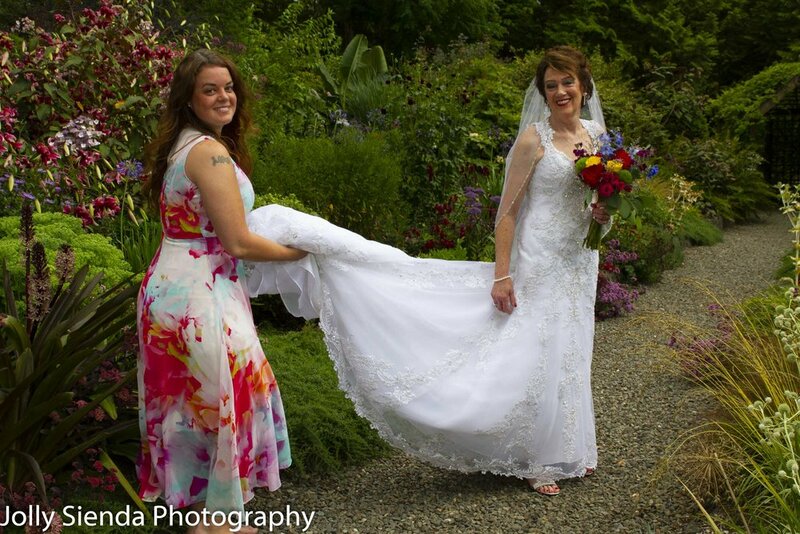 Helping to show off Kyle's lovely wedding dress and train. 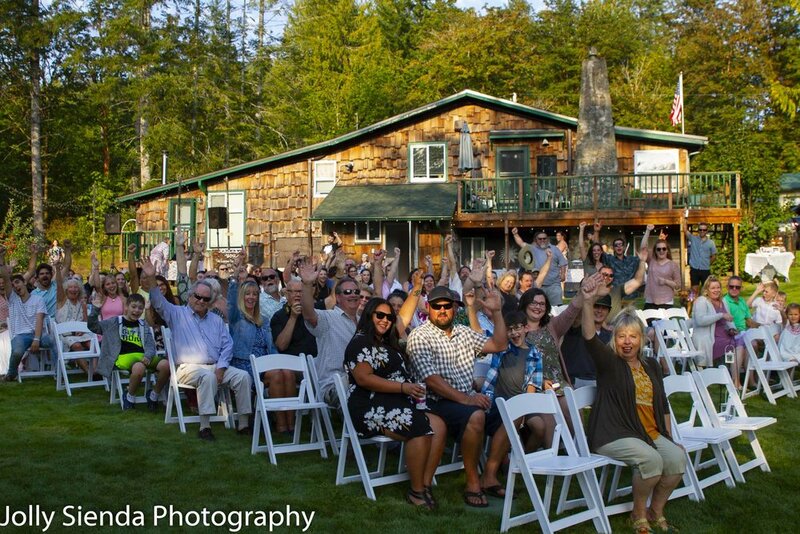 A beautiful setting for a bride and her family and friends! At Heronswood Garden there are so many beautiful places to take pictures. 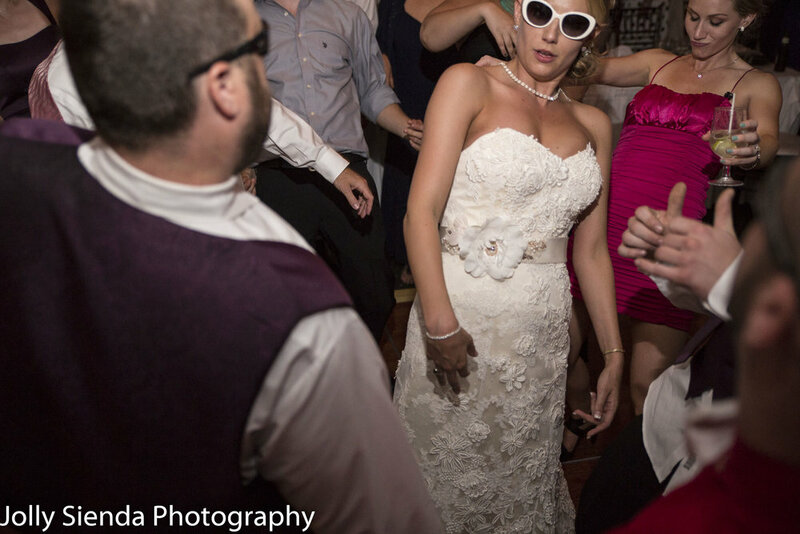 For the 4-hour wedding and reception -- we barely could scratch the surface! 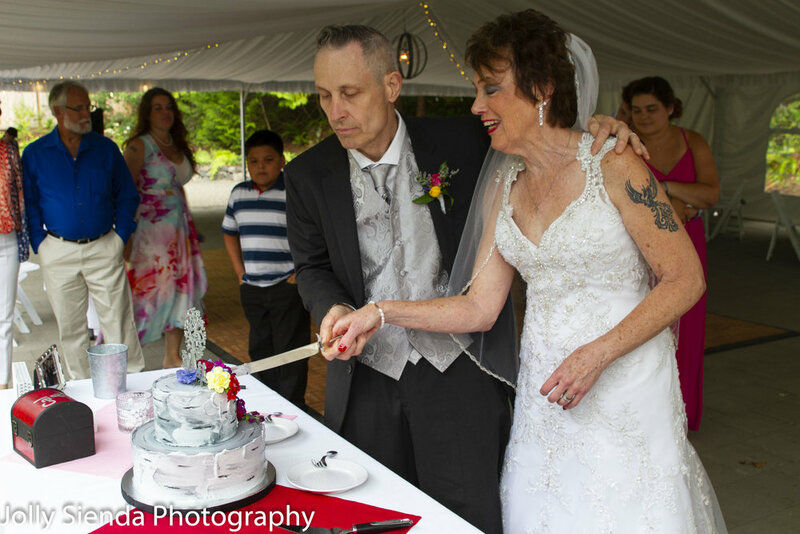 The celebration included the traditional cutting of the cake and the First Dance for the newlyweds, followed by lots of visiting with friends and family. Cutting the wedding cake. The cake was made by Methia Marie Gordon Nugent, Sweet Life Cakery. Congratulations to Kyle and Calvin! 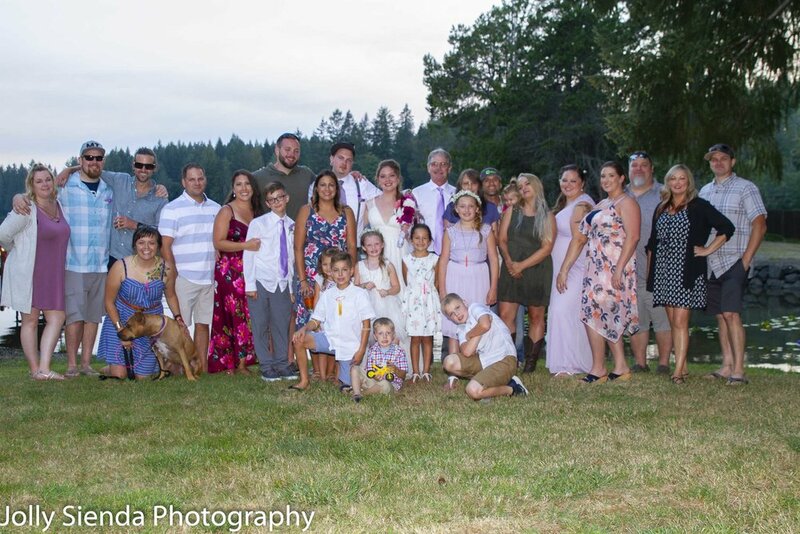 Thank you so much for asking Jolly Sienda Photography to be a part of your wedding celebration. It is an honor and a pleasure to get to know you; and, Rich and I wish you the very best!